The beloved actor returns to television in comedy that struggles to deserve him. In 2000, Michael J. Fox vacated his last starring role on a television series due to his Parkinson's diagnosis. Now, thirteen years later he returns with a character whose personal struggles resemble his own. Mike Henry (Fox) was a well-respected news anchor in New York City, but after being diagnosed with Parkinson's Disease, he made the tough decision to quit his job and spend more time with his family and focus on his health. That was five years ago. In that time, Mike's wife and kids have grown a bit weary of him being laser-focused on them. It seems fortunate then, that Mike would run into his former boss, Harris (Wendell Pierce), who is incredibly eager to get him back on the news. Mike balks at the offer initially, but when an idea for a story drops into his lap, he quickly find himself back in the game. The structure of The Michael J. 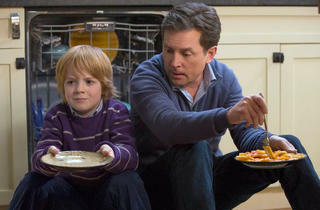 Fox Show feels like a very classic family sitcom and doesn't do much to reach far beyond that. The episodes are littered with jests about Mike's Parkinson's tremors and the managing of his medication, but most of these seem much more geared toward making the audience feel comfortable with the presence of the disease than at making them laugh. The comedy is at its strongest when Fox is paired with his on-screen wife, Betsy Brandt. The two have a very natural and humorous rapport that quickly makes them one of the more charming married couples on TV. Pierce also has some clever moments, but the show struggles to find a good use for the wonderful Katie Finneran, who, as Mike's younger sister, does very little in the opening episodes. 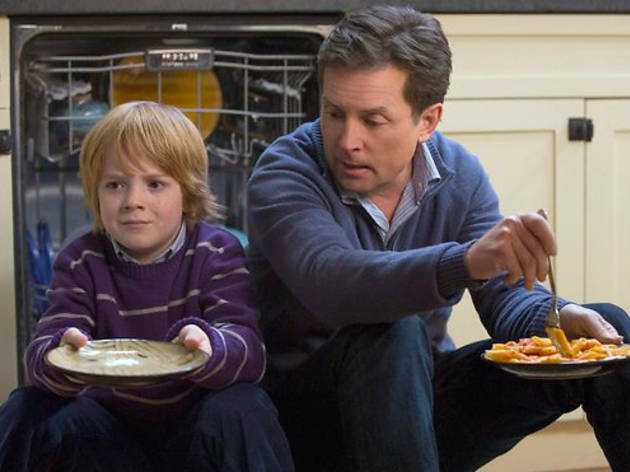 There are a lot of new family comedies this fall, and The Michael J. Fox show does better than most of them at defining the younger members of its cast. Our introduction to the family is presented through a video project that teenage daughter Eve (Juliette Goglia) is doing on her family. The device is weak but offers Eve the ability to discuss how her father's illness has affected their family. Oldest son Ian (Conor Romero) has dropped out of college in the hopes of starting his own search engine and becoming a Zuckerberg-like phenomenon—which really just means he's living at home and constantly on his laptop. As the youngest of the Henry children, Graham (Jack Gore) is basically there to do be adorable and precocious, and he does it fairly well. While it doesn't yet feel like The Michael J. Fox Show has earned the name of its endearing lead actor, there's enough charisma and humor at the start to make it worth sticking around.